Gilcrease Museum and the Buffalo Bill Center of the West in Cody, Wyoming, have partnered to present the groundbreaking exhibition Albert Bierstadt: Witness to a Changing West. Albert Bierstadt (1830–1902) is best known as one of America’s premier western landscape artists. But he was also a renowned history painter, a rarely discussed element of his legacy. This exhibition will address Bierstadt’s depictions of Native cultures of the Great Plains and American bison, which he approached as key subjects for his art. 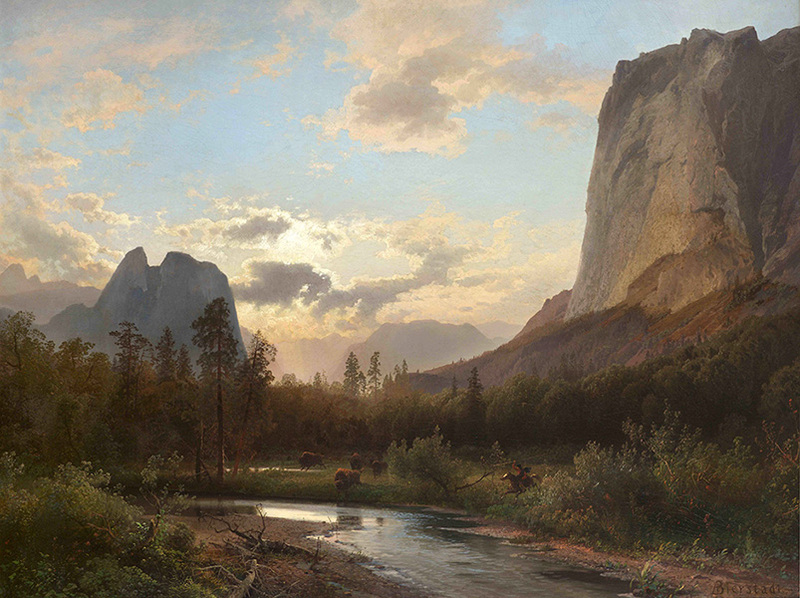 Albert Bierstadt: Witness to a Changing West features 75 artworks from more than 30 private and institutional lenders. 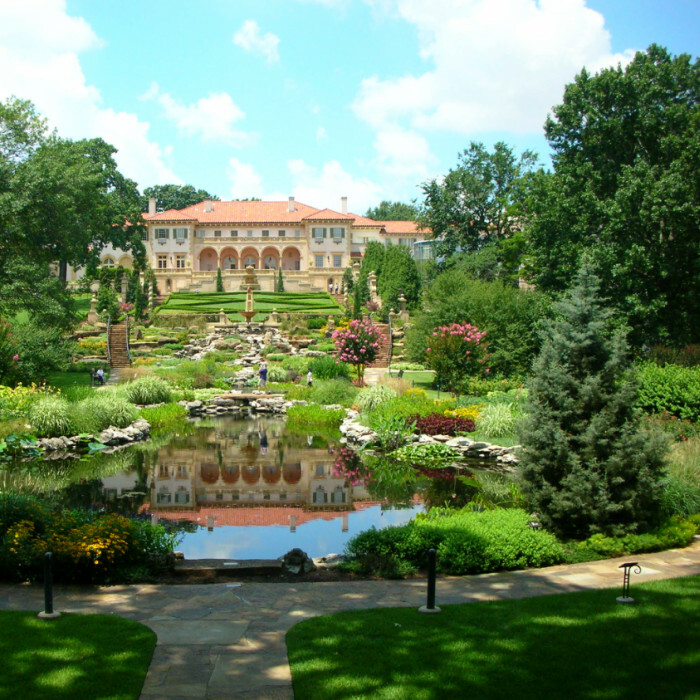 Both Gilcrease and the Center of the West are contributing masterworks from their collections. In addition to signature paintings by Bierstadt, the exhibition includes works by artists of Bierstadt’s time (and before) depicting both Native Americans and bison during a period of dramatic change in the West. 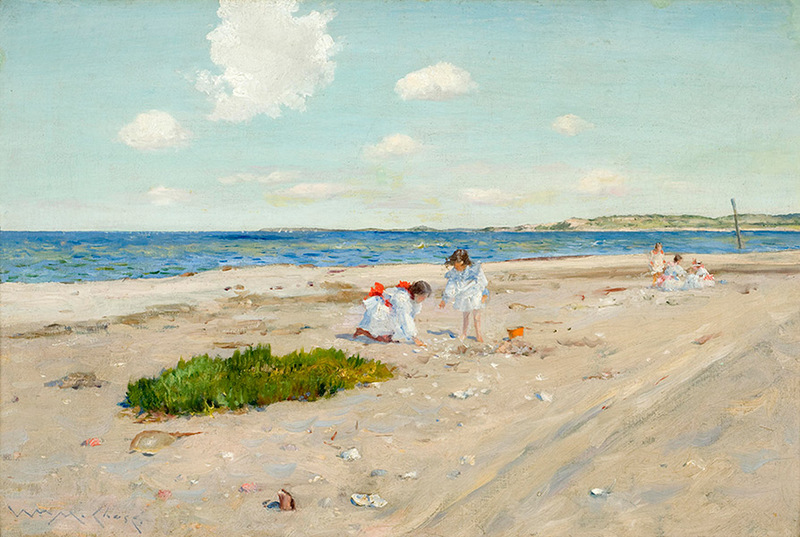 The exhibition is accompanied by a catalog published by the University of Oklahoma Press. Bierstadt endeavored to convey moral messages with his paintings, and his works demonstrate the ways he approached conservation issues of his day. He attempted to honor the dignity of Native peoples in the West like the Sioux and Shoshone, and to inspire empathy for the remnant herds of bison in Yellowstone National Park as the species neared extinction. Today, amid ongoing concerns around Native American sovereignty and environmental conservation, this timely exhibition addresses how these subjects have historically been treated by artists, the American people and government. Before traveling to Gilcrease, the exhibition is on view at the Buffalo Bill Center of the West in Cody, Wyoming, from June 8 – September 30, 2018.